The projects listed are in categories and have photographs available. The images can be accessed by clicking on images at the end of each category. An expanded list of projects is shown in About US. Santa Barbara has many historic structures and working on them affords me an opportunity to look into the past using the building as a historic record. There are many different styles of historic buildings which forces the architect to carefully study the building type to insure the renovation is right for that building. 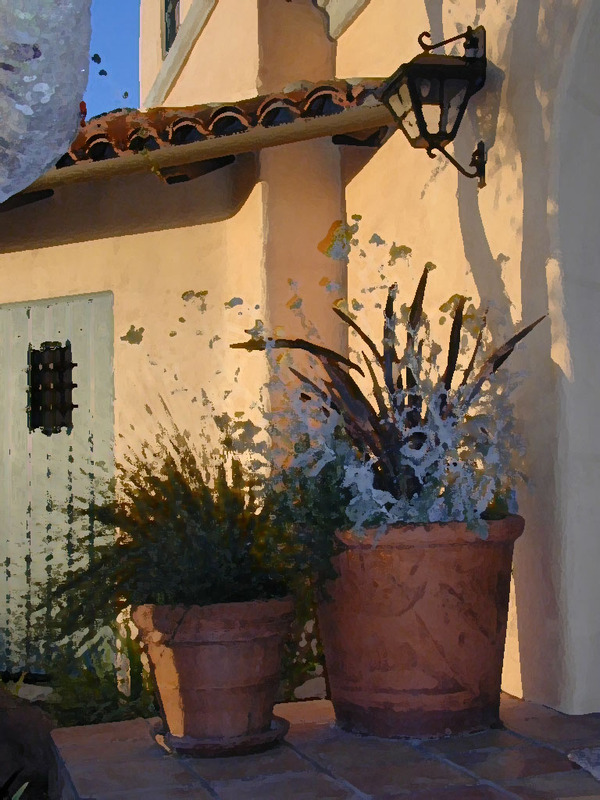 The El Paseo is the only Nationally Registered Historic Building in Santa Barbara. All plans and proposed construction had to be submitted to the National Parks Service to insure they met with their approval. Additionally all plans must be approved by the Santa Barbara City Landmarks Committee. The Cate School stables were designed by Reginald Johnson as well as well as the original campus. The relocation of this historical structure was required. The stables held a warm place in the hearts of the alumni. Work to renovate the ranch buildings on Santa Cruz Island came under less government scrutiny though the buildings were equally as old. The portion of the renovation I participated in was the Dining Hall (Comedor Building) and two of the bunk houses. This office has done numerous small commercial projects and keeps itself abreast of current building codes and governing agencies. Commercial projects are heavily regulated and fall under a great amount of government scutiny. A small office is ideally suited for remodel work. It requires hands-on knowledge of the existing structure and what limits are feasible to bring the project to completion. New building and fire codes are constantly being evolved to require existing buildings to be upgraded structurally. Care must be taken from the outset to know where the trigger points are that can push a project too far.